A few weeks ago I was busy finding a graduate project. 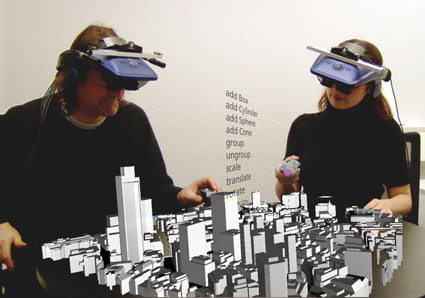 And during that time augmented reality looked very interesting. Most of you know what it means, for the others here a small explaining line from wikipedia: Augmented reality (AR) is a field of computer research which deals with the combination of real-world and computer-generated data (virtual reality), where computer graphics objects are blended into real footage in real time. "it's amazing, it's the new Lego"
Very cool examples. I bet there are a lot more project using AR that I know nothing from. I’m not going to do something with AR. It is very cool but I don’t see me doing a project alone and working for 8 hours in my appartment. Now I’m doing something in a company. Some flash based AR for an animated movie promotion.